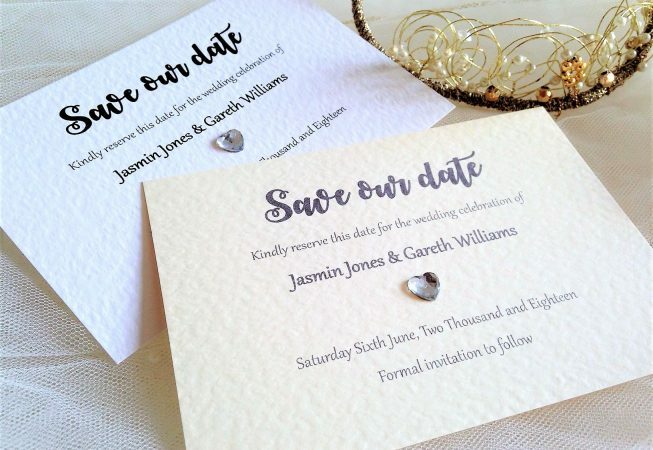 Canterbury save the date cards, announce your forthcoming wedding in style with these attractive contemporary save the date cards. 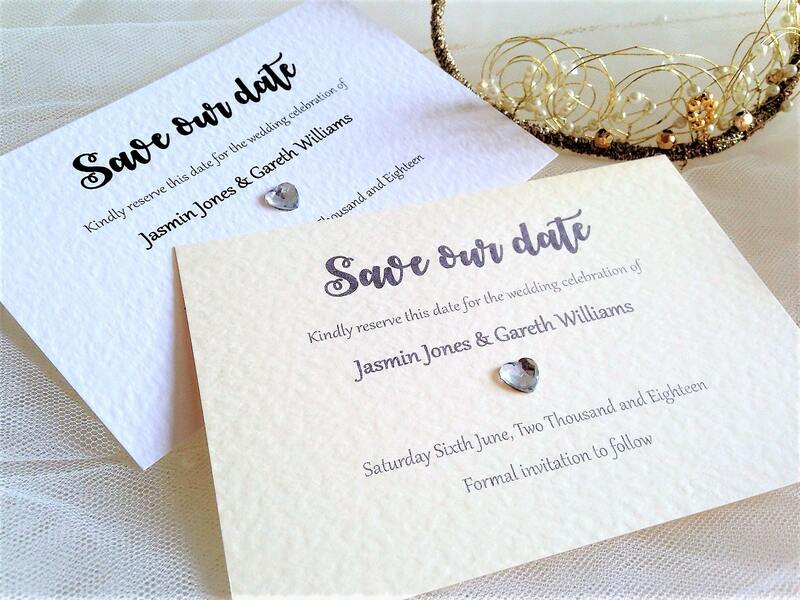 Our affordable save the date Cards are printed on a top quality thick heavy weight (270gsm) hammered card and are available in white or ivory. 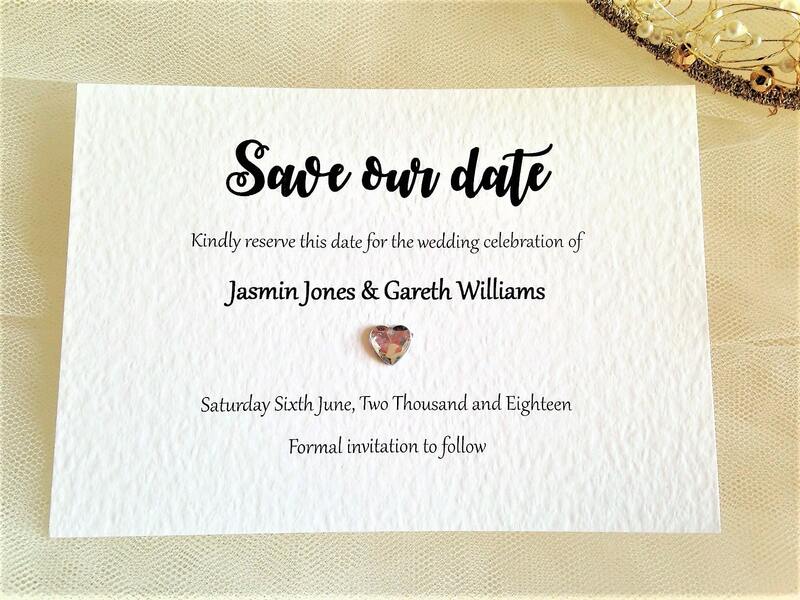 This design features an attractive clear diamante heart to add some sparkle! We can print your cards in any colour to match colour scheme. 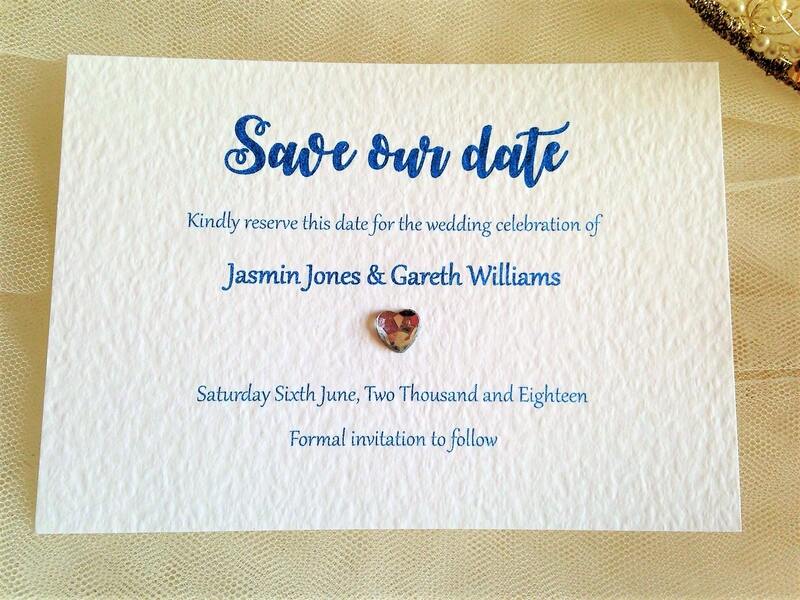 Includes all personalised printing in a typeface of your choice and a matching hammered envelope. 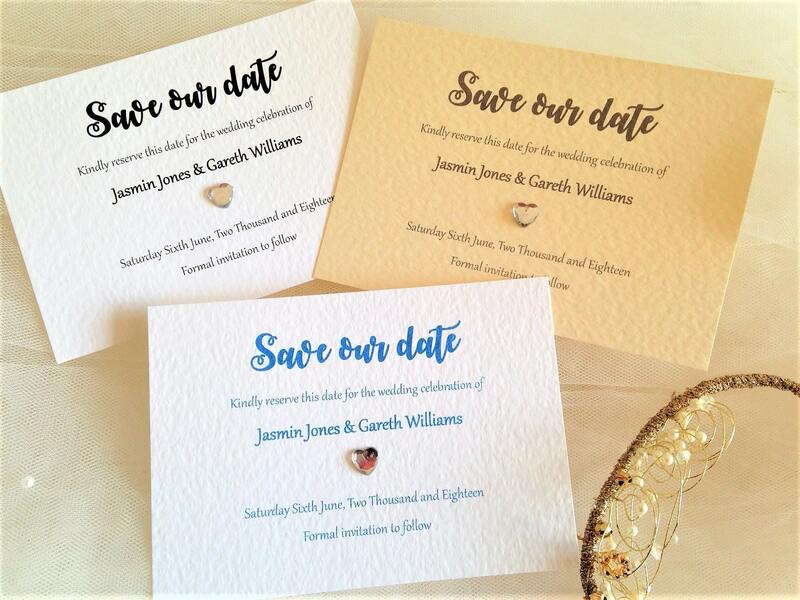 Beautiful top quality Canterbury save the date cards for quick delivery!